After years of attempting to obtain documents under the Maryland Public Information Act(MPIA), the Town of Brentwood had turned over documents pertaining to errors by their speed camera program. The long delayed documents reveal evidence of multiple complaints by motorists and obvious erroneous citations. After receiving reports of erroneous citations in 2010, the chairman of the Maryland Drivers Alliance filed a public information act request with the Town of Brentwood in October 2010 (over four years ago) which the town received via certified mail on October 18, 2010. The town sent no reply within the 30 day time limit permitted under Maryland's transparency law. After several attempts to obtain a response from the two failed, we filed a second request for additional documents. The municipality received that second request via certified mail on December 5, 2011, and again did not respond within the 30 day time limit under the MPIA. The MPIA is Maryland's equivalent of the FOIA which subjects most types of records to public inspection. Local governments are required by law to respond to MPIA requests within 30 days and are permitted to withhold records only under a limited number of exemptions. There is no provision of state law which permits a local government to ignore an MPIA request from anyone. After multiple additional attempts to obtain the requested documents were unsuccessful, we filed for Judicial Review in Circuit Court, which is the legal recourse permitted under the MPIA. The attorney for the town provided a small amount of correspondence dated after May 2013. Brentwood claimed that they could not produce correspondence from the time period of the original requests, because they had lost the passwords to all relevant email accounts that they had used for the requested correspondence. One of the town asserted they had lost was a Hotmail account. As of 2014, this address was still listed on the town website and as of 1/20/2014 this email address was still listed on Brentwood's contact address on the msa.maryland.gov website (a state directory of local governments). In May of 2014, the town agreed in court to work with their contractor (Optotraffic) to retrieve correspondence which still existed, and the case was kept open for an additional 120 days to oversee this. However at the end of the 120 day period the additional documents had still not been turned over and town's attorney had ceased responding to communications with us, and the we were forced to request an additional hearing date. A week before the new hearing in January 2015, and more than four years after the initial request, an additional 42 pages of correspondence discussing speed camera errors from around 2011 was finally produced. We already knew that errors were occurring in the recent past since the documents produced in 2013 showed several cases where voided because the had been issued to the wrong vehicle. In addition, a citation which had been issued was voided because of a false speed reading". The new (or rather very old) documents just obtained in January 2015 showed that errors did not begin in 2013. Among the issues prompting the initial requests had been a news report that buses had received erroneous tickets from Brentwood. One of the documents did reference metro buses: "Hi Angie. This is another metro bus ticket I spoke with the Chief and he agreed to dismiss it!" Documents in both the January 2015 and October 2014 disclosure showed that tickets issued to incorrect vehicles were in fact a relatively routine occurrence. Some motorists also alleged that speed readings were in error, however it is unclear from the documents whether these cases were disputed in court. Some disclosed emails dated from 2011 showed that some individuals from the town were apparently using personal email accounts to conduct official business regarding the speed camera program. Some correspondence between the town's staff and Optotraffic were being conducted from a "UMD.EDU" address. Unfortunately, we will never know what information responsive to our requests might have lost because the town did not respond in a timely manner. 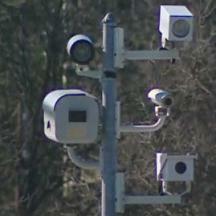 Furthermore, the long delay in obtaining these records meant that the Maryland Drivers Alliance did not have the benefit of this data when speed camera reform legislation was debated in previous years and some members of the legislature favoring the weak smoke and mirrors reform legislation they ended up passing were asserting that speed camera errors were exclusively a Baltimore City phenomenon.